Immensely capable, mobile, and versatile. 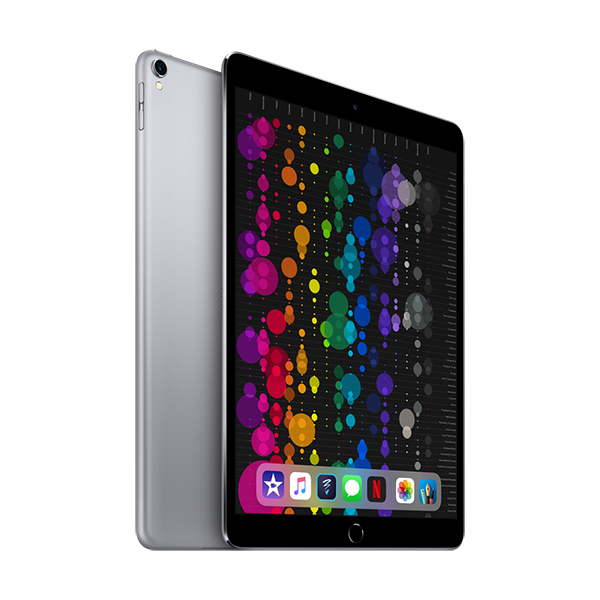 An immersive 10.5-inch Multi-Touch Retina display.¹ An A10X Fusion chip with more power than most PC laptops. Supports Apple Pencil and the Smart Keyboard.² A 12MP camera and 7MP FaceTime HD camera. All-day battery life.³ Wi-Fi and LTE.⁴ Touch ID and Apple Pay.⁵ Over a million apps available on the App Store, including augmented reality experiences. And iOS 11 makes iPad more powerful, personal, and intelligent, so you can do more than ever before. Even better. ² Apple Pencil and Smart Keyboard are sold separately. ⁵ Apple Pay on iPad works in apps and on websites.